Whether you do your dining in a cosy nook, a dedicated room or just the corner of your kitchen, it’s time to dial your decor up a notch. 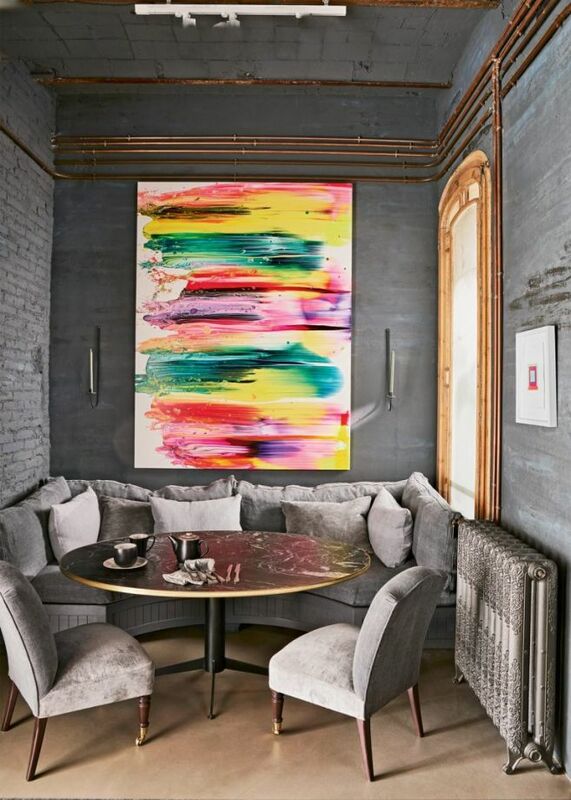 Who’d want a drab TV dinner when you could be dining at a marble table, sitting on a plush banquette beneath an over-sized chandelier, or gazing at a striking artwork? 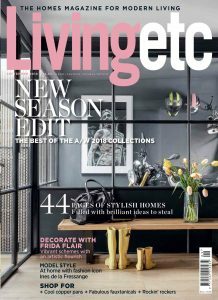 For dinner à deux, family mealtimes or just tea and toast, these fabulous ideas have one aim – to elevate everyday dining to something special. 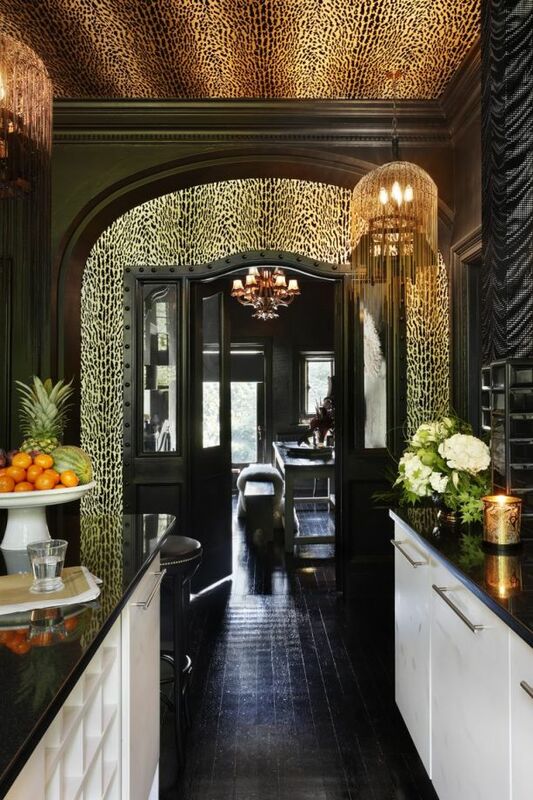 To prevent the dark, eclectic palette feeling oppressive, layers of texture have been woven in to this scheme, with plenty of reflective surfaces and luxe finishes. The wallpapers, which trick the eye, bounce light around and bring lashings of personality and humour. The Versailles parquet floor pattern is subtly echoed in a wall of mirrors sliced into diamonds and reflected in shiny tin ceiling tiles. Get the look: This is the Waste table by Piet Hein Eek. The Paper chandelier is by Studio Job for Moooi. 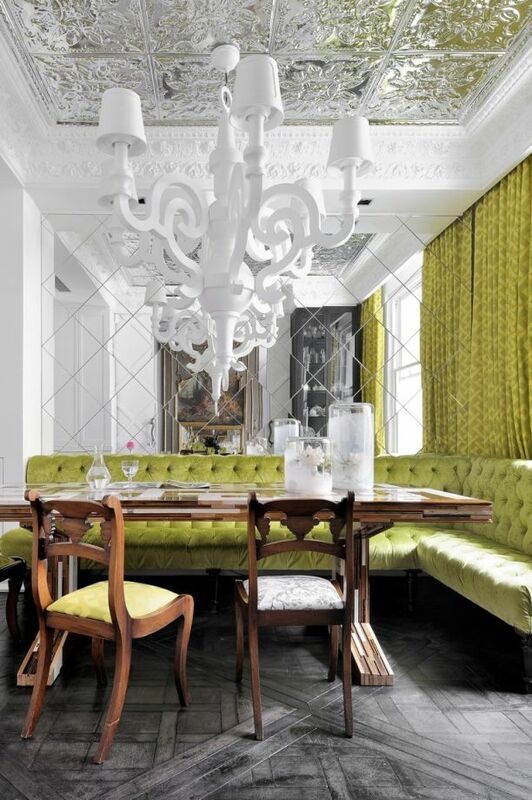 The banquette is upholstered in Pierre Frey velvet and the curtains are in Dedar fabric. The vases are from Mint. The ceiling is clad in tin tiles shipped from the US – Rockett St George sells similar. The grey-painted walls actually consist of three different colours, which creates a distressed look. Air-conditioning and heating pipes made from copper become a design feature. Similarly, rather than channelling the new wiring into the walls, an electrical grid of fabric-wrapped power lines joins plug sockets and light fittings. It’s as if the apartment’s nerves and blood vessels are revealed, a stylistic life force that pulses through and connects the rooms. A dramatic artwork stands out against these fabulous features. Get the look: The sofa and table are by Jaime Beriestain. The artwork, called SP95, 2015, is by Barcelona-based artist Yago Hortal.